In January I wrote about how to handle the facts in your family tree that don't add up in How Is That Possible? I like to use Family Tree Maker's bookmark feature to call attention to the people in my tree who have a problem with their facts. Bookmarks help remind me to check the facts. 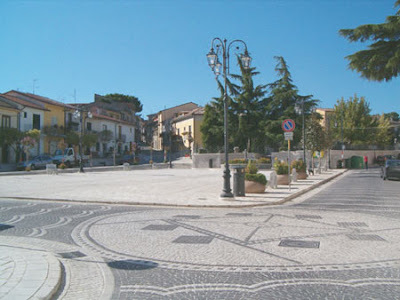 Today I took a look at Francesco Cece who was born in 1805 in my grandfather's town of Basélice, Benevento, Campania, Italy. 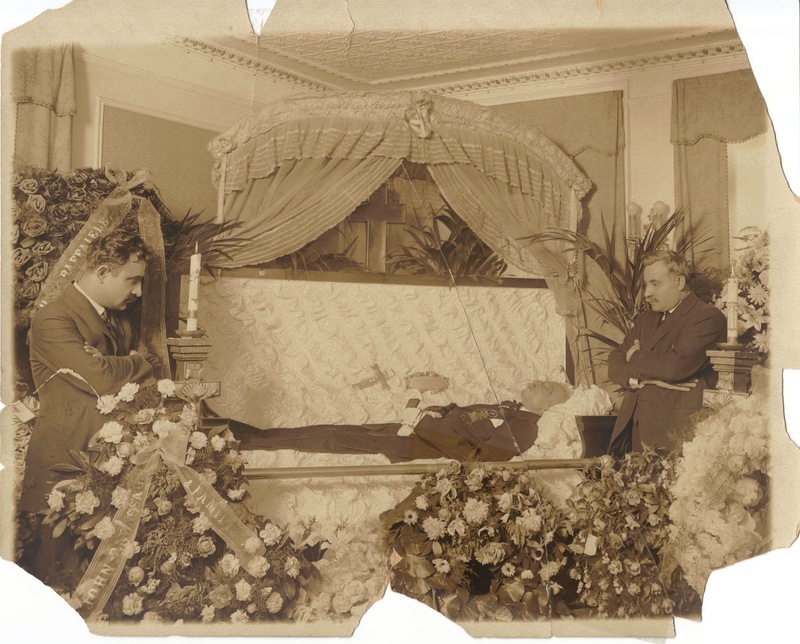 His facts included three marriages, which was not uncommon in the 1800s. If your spouse died back then, you were going to remarry. If you had children, they needed a new mother or father, and if you were old, you needed a younger spouse to take care of you. Just look at my great great grandfather's case. Francesco's three marriages were pretty close together, so I looked to see when wives number one and two died. But wife number two was alive when he married wife number three, so something was wrong. I decided to visit the online Benevento Archives to take a closer look at the marriage of Francesco Cece and Mariarosa Marucci. 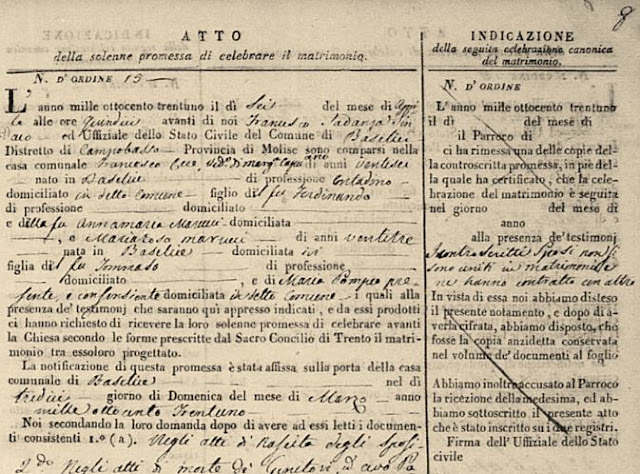 I have not seen this a lot in my research, but Francesco and Mariarosa went through the process of publicly posting their intention to marry on 13 March 1831 and 31 March 1831. They were granted permission to marry on 6 April 1831, but as you can see on their marriage license, the right column where their church wedding would be recorded was crossed out. A handwritten note in that section of the page says that despite having a contract with one another, the couple were not united in marriage. Only when I revisited this marriage record did I realize they were never married. Mariarosa entered into another marriage contract nine months later and married Saverio Colucci on 1 March 1832. Francesco entered into a marriage contract five years later at age 31 with an 18-year-old girl from another town, Donata Maria Fantetta. Each of them had lost their parents, so this could have been a marriage of necessity for young Donata Maria. Sadly, this contract also did not end up in marriage for Francesco Cece. 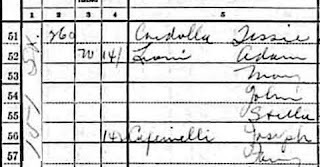 I checked the marriage records all the way through the year 1860 and never again saw Francesco's name. His first and only wife, Margarita Capuano, died at the age of 25, just six years after they married. They had no children. I've removed my bookmark from Francesco, but I don't think I'll soon forget him. I'm very keen on finding all family members rather than climbing my tree from father to father to father. I mean, if I knew the King of Italy were a dozen generations up the tree, I'd probably head straight for him, but I'm definitely from peasant stock. 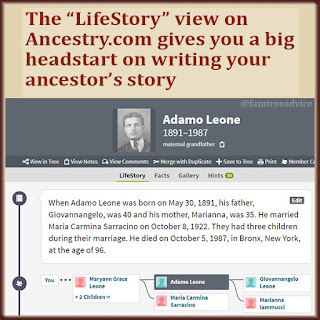 Here is an example of how viewing every available vital record and documenting every single fact gave me an interesting insight into my great great grandfather, Nicoladomenico Leone, born in 1796 in Basélice, Italy. 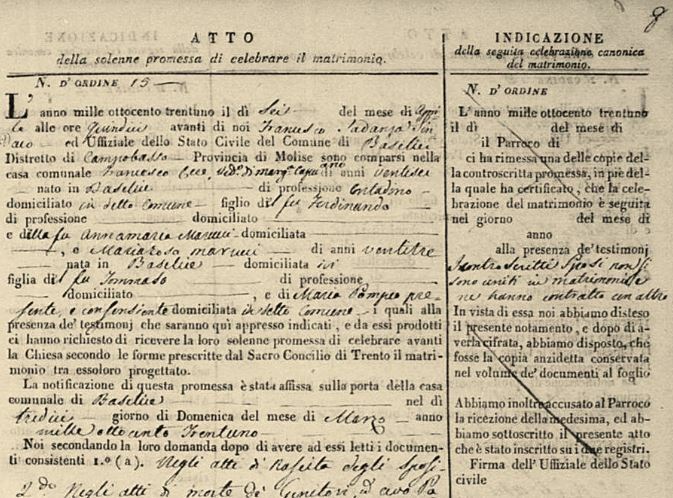 While recording the facts from every Basélice vital record from 1809–1860, I found my great grandfather Giovannangelo Leone's birth record which told me his parents' names: Nicoladomenico Leone and Caterina Pisciotti. But I was creeped out to see that the baby's mother was 36 and his father was 53. Then I learned it was a common practice at that time and place to remarry shortly after your spouse died and continue making the babies. As I continued reviewing vital records I found an 1837 death record for my great great grandfather's first wife, Sinfarosa Ferella. She died at age 35 after giving birth six times (three of the babies died extremely young). Children from 2 marriages. It took 3 tries to get a Giuseppe Maria Leone to live past infancy! Nicoladomenico became a widower in late 1837 and surprisingly waited four-and-a-half years before remarrying. But he appears to have married his eldest daughter's classmate. Angelamaria Leone and Caterina Pisciotti were both born in 1819. Both Angelamaria and her only surviving sister, Gelsomina, were still living with their father when he married this 22-year-old girl that they surely knew. It must've been weird at that dinner table, don't you think? By combing through all of these records I found that Nicoladomenico Leone fathered 12 children (five of whom died in infancy). The last one I know about (because the records ended in 1860) was born when Nicoladomenico was 64 years old. 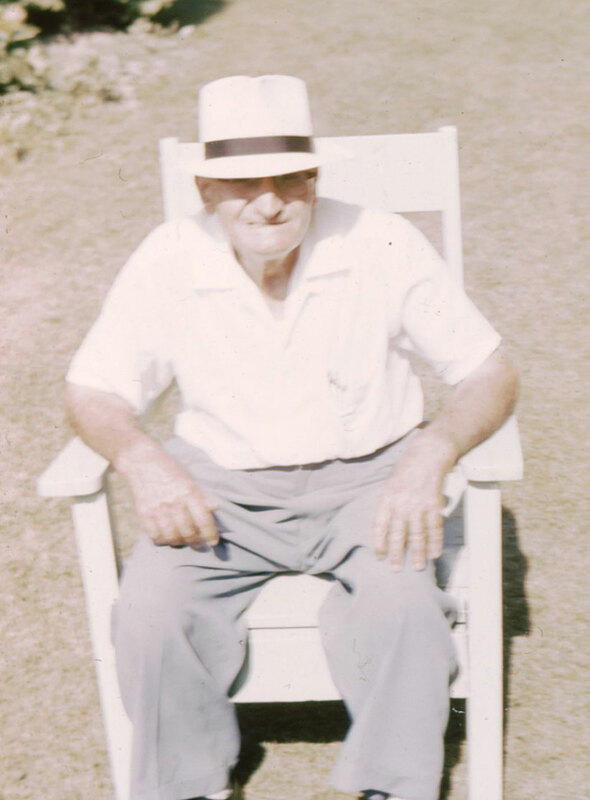 My great great grandfather went on to live 91 years, probably because he was not a contadino (farmer) his whole life. No, he left the fields and had what was most likely an easier life as a butler, a broker, a coachman, and at age 64, a tavern keeper. His occupation was written on each of his children's birth records, giving me a full timeline of his career. You have to admire the stamina of this man. I'm from peasant stock, yes, but apparently that's a strong and hearty stock. When I first started researching my Italian ancestors after spending my honeymoon in Italy, I couldn't understand how they left such a beautiful place to come and work for the railroad or live in a cramped city apartment. If you're wondering the same thing about your ancestors, no matter where they came from, you can gain a lot of insight by reading a bit of history about your ancestors' homeland at the time they came to America. They may have come here because it was their only option for steady work. They may have been fleeing an oppressive regime or hoping to avoid a war. 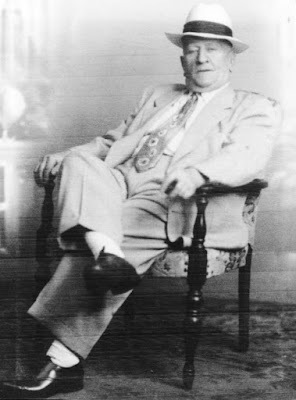 My entire family came from rural Southern Italy where poverty was extreme and advancement was all but impossible. In the late 1800s it became difficult to grow crops, and waves of cholera and other diseases were increasing the death rate. America offered steady work for healthy men. 1851–1860: The Potato Famine in Ireland made emigration a matter of life or death. 1861–1870: Prussia and the German states could not provide good jobs to their people. 1871–1880: The German Empire, ruled by Otto von Bismarck, became inhospitable to Catholic Germans. 1881–1890: Skilled laborers throughout the United Kingdom escaped poverty and famine to work in America's industries. 1891–1900: Extreme poverty in Southern Italy, along with malnutrition and disease, led to a massive exodus. 1901–1910: Millions of Jews had to leave Russia to escape anti-Semitic violence, army conscription, and ethnic friction. With so many millions of people pouring into the United States, some controls were needed. 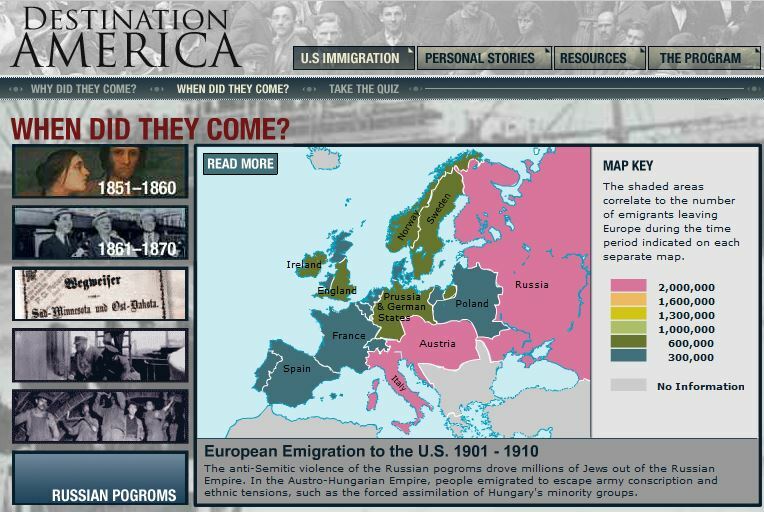 According to an immigration timeline on a Harvard University website, more than three million immigrants came to America between 1891 and 1900, and that includes many of my ancestors. A whopping 5.7 million Italians came to America between 1911 and 1920, including my two grandfathers. The overwhelming numbers of immigrants led to a series of laws that were intended to stem the flow a bit. In 1917, according to the Harvard website, Congress enacted a literacy requirement for immigrants by overriding President Woodrow Wilson's veto. The law requires immigrants to be able to read 40 words in some language and bans immigration from Asia, except for Japan and the Philippines. The Emergency Quota Act, 1921 restricted immigration from any country to 3% of the number of people from that country living in the US in 1910. The Immigration Act of 1924 limited annual European immigration to 2% of the number of people from that country living in the United States in 1890. The 1924 Oriental Exclusion Act prohibited most immigration from Asia. That same year the Border Patrol was created to help prevent illegal immigration. 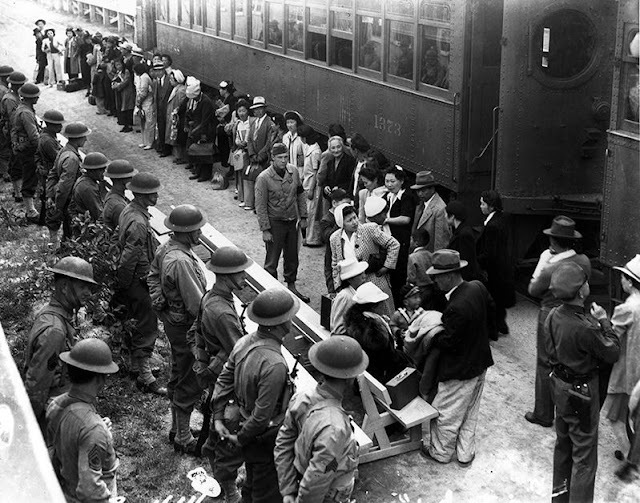 In 1929 they really clamped down on Asian immigration: The National Origins Formula institutes a quota that caps national immigration at 150,000 and completely bars Asian immigration, though immigration from the Western Hemisphere is still permitted. 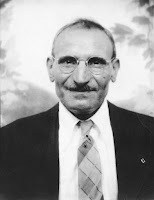 I have cousins who left Italy in the 1950s but simply were not allowed to come to the United States, so they and many of their friends and relatives settled in, and still live in Niagara Falls, Canada. It would require more research, but I suspect that after the 1920s or so, it was never again as simple as getting on a boat, coming to America, and saying you wanted to stay. How do you find documents from your ancestor's hometown if you can't find it on any map? Did the Town Change its Name? Sometimes your genealogy research requires some history research. For example, I learned that my great great grandmother's town, which family members often heard her mention, had changed its name after World War II. The name change hampered my search for a while, but the truth was out there. I was able to visit the town in 2005 after I discovered its current name. Then there are situations like this: You search for your Polish family's hometown only to find it in Germany. "How could they not know they're German?" you ask. But a little Googling of the history will tell you that the Germany/Poland border fluctuated over time. So your ancestor came to America from Poland, but if he were to return today, he'd be going to Germany. When you can't find what you believe to be your ancestor's hometown on the map, use a search engine to learn about the surrounding area. 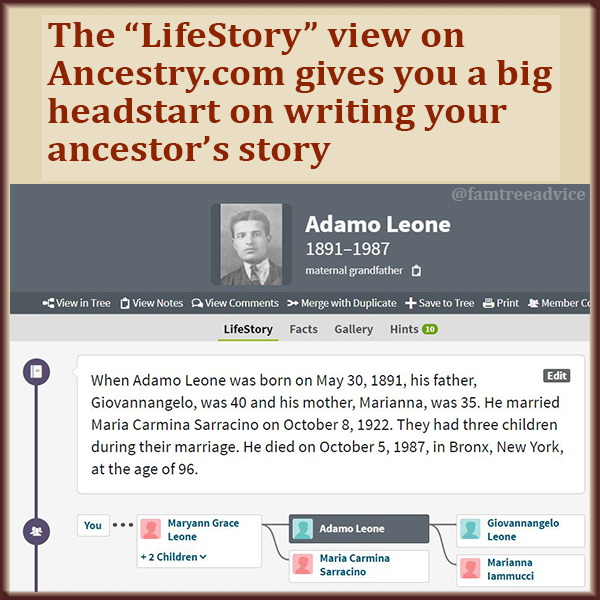 What events happened there after your ancestor's emigration? Didn't They Love Their Homeland? How could they leave the most peaceful place on earth to come to the gritty city? Then I read about the extreme poverty and lack of hope in Southern Italy as early as the 1800s. 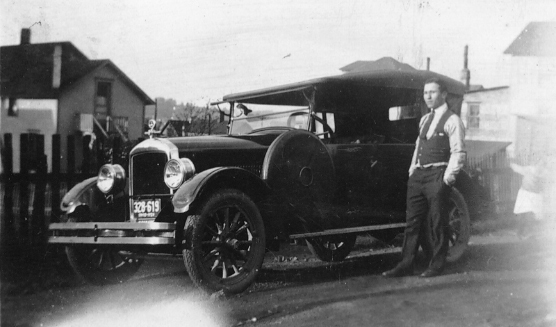 My grandfathers were faced with the idea of never being more than a menial worker who sold his products only to his own little town. 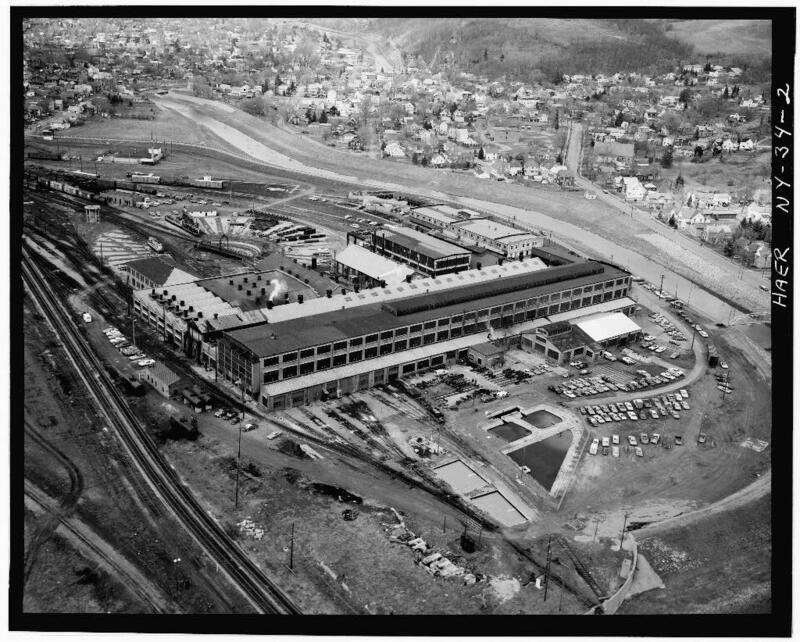 They each followed the example of a relative who found almost unlimited work in American coal mines and railroad yards. It must have seemed like their only option because—and this amazes me—they came to America and never saw their families again. It is quite hard to imagine. So read about it. Don't ignore the history that goes along with your ancestor's immigration. 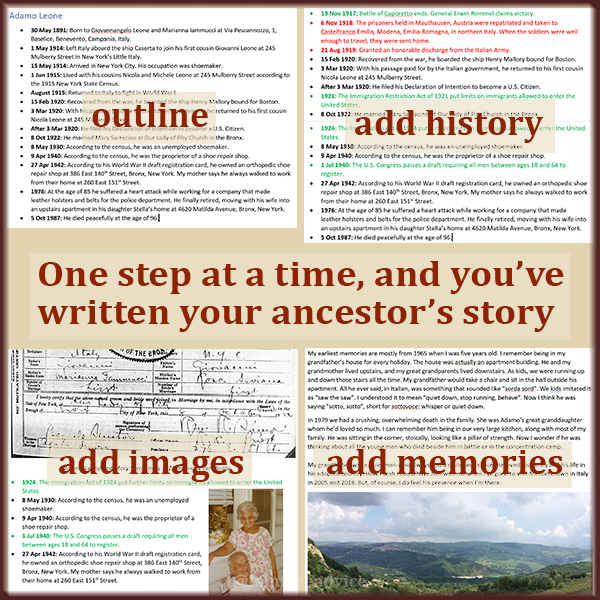 To give your family tree the ultimate credibility, locate as many pieces of genealogical documentation as possible. 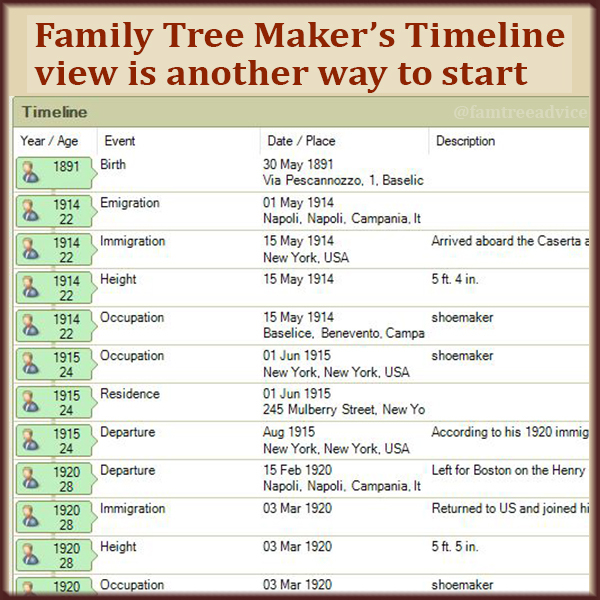 This creates a robust timeline for each person in your family tree. To help you locate birth, marriage and death records, you need to know where a person lived at different times in their life. Knowing where someone lived also helps you be sure you have the right document. Many members of my family lived at this address...including me, briefly. For example, let’s say I have census forms, draft registration cards, and other documents that show my ancestor always lived in the same neighborhood in the Bronx, decade after decade. If I have a death certificate that lists the person’s address at the time of death, and it matches the address I had for him on the census earlier that year, I can be sure I have the right death certificate. 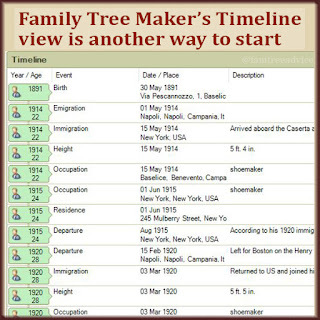 Now imagine you have a census sheet for a family from your tree. This census tells you the older children were born in Tennessee but the younger children were born in Virginia. If you hadn’t learned about the two different states, you wouldn’t know where to find the family 10 years earlier. This may also be a clue as to where the husband and wife were married, helping you find that marriage certificate. Follow your ancestors throughout their journey. Document as many facts as you can. Knowing where your family lived at different times will tell you if information you found in someone else’s tree is reliable.